It started as nothing more than a simple mistake: The accidental arson of a 7-Eleven and a brother convincing her to run. It has become something she cannot control: Finding her name – an alias she had not chosen – in headlines across America. Cassidy Sundance has become a national phenomenon, a beloved rebel running from her responsibilities and leaving authorities behind. Officials must rely on a composite sketch to track her down. With a name suddenly as infamous as the outlaws themselves, Cassidy finds herself trying to make the best of her time as America’s most wanted criminal. Her name precedes her before she arrives. Follow her travels across the United States. Witness how she cons cars out of strangers, hitchhikes across the interstates of the country, and even travels to Washington DC just to see the historical sights. The fun does not last. Unseen officials lurk around every corner. Lighthearted moments are shorty-lived, and Cassidy finds herself struggling to stay one step ahead of those who want her. Even her friendships on the run do not last as the odds continually mount against her. Cassidy Sundance cannot help but wonder what adventure will be her last. I really enjoyed reading On the Border by Christina Roberts. Cassidy Sundance is on the run from the law after accidentally setting fire to a 7-eleven store. 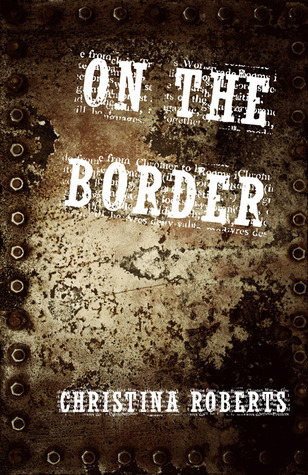 On the Border tells the story of Cassidy’s adventures across the US whilst evading her pursuers. This is a great debut novel from Christina Roberts. It’s extremely well written and has a cast of very interesting and developed characters. I felt very much for Cassidy and what she was going through, dealing with events that were beyond her control and not really her fault. Jason is her perfect partner (in crime!) and the bond between the two of them adds to an exciting and unforgettable journey!